I do yoga almost every day to stay healthy. Not only does it improve my flexibility, but it also builds muscle, helps my posture, and makes me more relaxed! I have made a resolution this year to be healthier and it has been about a month and a half of me doing my new yoga routine. I can already feel the difference that yoga can make in your life! So when I heard Stayfree, one of my favorite feminine hygiene brands, had teamed up with My Yoga, a yoga website I have heard about but was never able to use, I was thrilled! They’re allowing 30 days free after purchasing a Stayfree product. Stayfree Ultra Thin pads with wings are the most effective as far as no slipping while I am doing even the most complicated of poses. From the bridge pose to the crescent lunge pose, I have never had any problems with Stayfree as far as comfort. The process to sign up is fast and easy! First, I had to get a box of any Stayfree product. Stayfree products are easy to find—they’re everywhere! So I went to my local Walgreen’s and bought a box of Ultra Thin Pads. Then, I took my receipt and uploaded it to this website and filled out a short form with my name, email, and birthday and ta-da! All done! You now have 30 free days of seamless yoga! 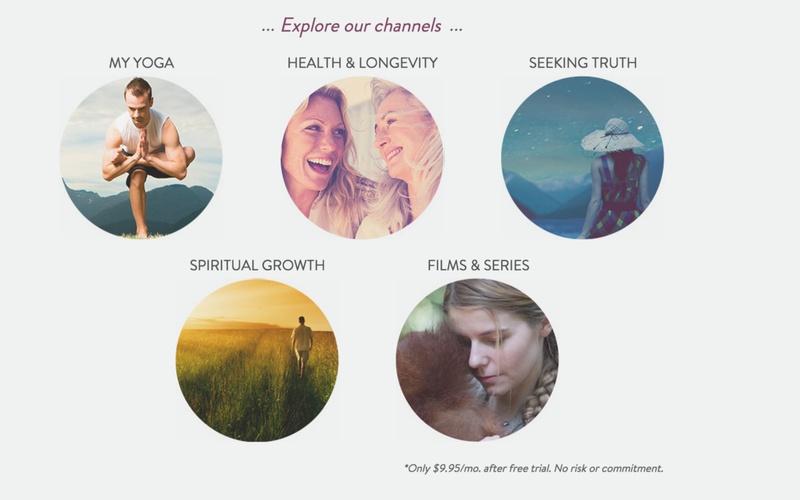 My favorite part of gaiamtv.com’s yoga page is that it is so organized, it’s simple to find what you want to do that day! This is a free trial for GaimTV, which usually costs $10 per month, so I am thrilled. My routine now consists of me doing an online yoga class with GaimTV before work and I am absolutely loving it. I can continue to live out my New Years resolution of being healthy with an instructor online. Living an active life is great for the body, and using Stayfree is good for the mind (and bank account)! If you have never used Stayfree feminine products before, you are truly missing out on something great. The My Yoga promotion is from January 8th all the way through March 12th! So jump on this awesome offer ladies, you will not regret it! This post is sponsored by Sverve on behalf of Stayfree. All Opinions are 100% my own.